How does augmented reality works? Augmented reality is a direct or indirect view and experience of a physical, real-world environment whose elements are "augmented" by computer-generated perceptual information. The word Augmented means 'to increase the size or value of something by adding something to it'. AR enhances our real surroundings with graphics, sounds, and other feedback. The first functional AR system named 'Virtual Fixtures' was developed by U.S. Air Force's Armstrong Labs in 1992. 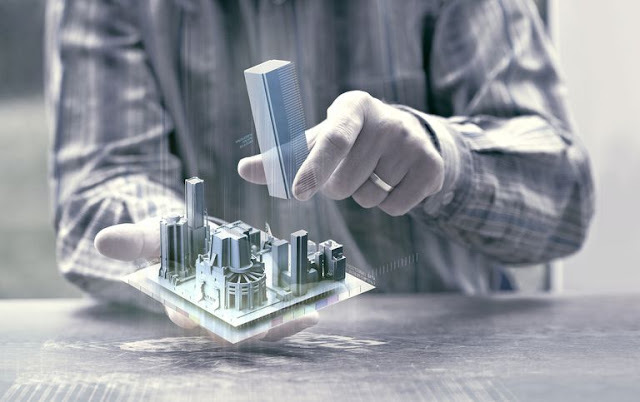 Early Augmented Reality experiences were used in the entertainment and gaming, but now AR is applied in knowledge sharing, educating, managing the information flood and organizing distant meetings etc.. Difference between VR and AR?Augmented reality means adding virtual elements to the real world. Augmented reality is often confused with Virtual Reality.Though they are two similar techs but there are some key differences. Virtual reality immerses you entirely into a virtual world, whereas augmented reality simply overlays virtual elements onto the real world. VR and AR are not two competing technologies. Moreover they are complementary to each other. AR is not a single technology. It is a combination of techniques.Based on it's area of application it's achieved by set of Hardware and Software. AR visuals can be rendered optical projection systems, monitors, handheld devices, and display systems worn on the human body. Head-mounted display (HMD) and Smart glasses:HMD is a display device worn on the forehead. Working principal of an HMD is very simple. It combines images of both the physical world and virtual objects over the user's field of view.HMDs often employ sensors for six degrees of freedom monitoring that allow the system to align virtual information to the physical world and adjust accordingly with the user's head movements. Optical Projection System:Optical projectors used in AR can produce 2D or 3D illusion of an object over real world. 3D projection can be achieved in number of ways. 3.3D scanned images presented using projectors which are capable of variable images of the same object by tracking our eyes movement. Marker-based augmented reality (also called Image Recognition) uses a camera and some type of visual marker, such as a QR/2D code, to produce a result only when the marker is sensed by a reader. Marker based applications use a camera on the device to distinguish a marker from any other real world object and some type of content and/or information is then overlaid the marker. Markerless (also called location-based, position-based, or GPS) augmented reality, uses a GPS, digital compass, velocity meter, or accelerometer which is embedded in the device to provide data based on your location.With the advent of smartphones this type of Augmented Reality gained wider popularity.This type of AR is mainly used for mapping directions, finding nearby businesses, and other location-centric mobile applications. 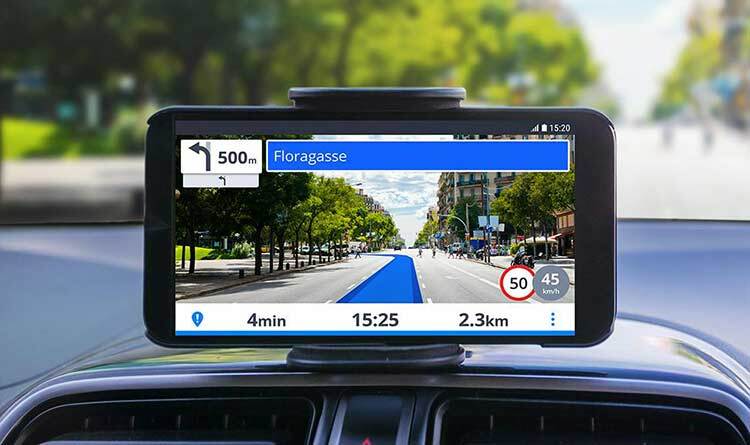 GPS application on your device uses augmented reality to make it easier to get from point A to point B.It augment your current position on the map.Using the smartphone's camera in combination with the GPS, users see the selected route over the live view of what is in front of the car.Position based marker-less AR comes under this. 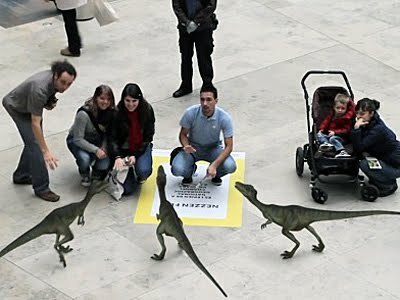 This is a typical example of augmented reality application. A transparent display is positioned directly in the pilot's view. Data typically displayed to the pilot includes altitude, airspeed and the horizon line in addition to other critical data.Pilot need not look down into display consoles for the information. Presentation of food items in restaurants. Following video will give you an idea of what AR technology is capable of. This device's developers HoloLamp claims that 'HoloLamp is an award winning startup, which proposes the world’s first glasses-free and hands-free portable augmented reality device that creates optical 3D illusions directly on your environment 'HoloLamp technology is based on advanced projection technology, computer vision and machine learning. The ability to augment a live view of displays in a museum with facts and figures is a natural use of the technology. Using a smartphone equipped with a camera, tourists can walk through historic sites and see facts and figures presented as an overlay on their live screen. These applications use GPS and image recognition technology to look up data from an online database. 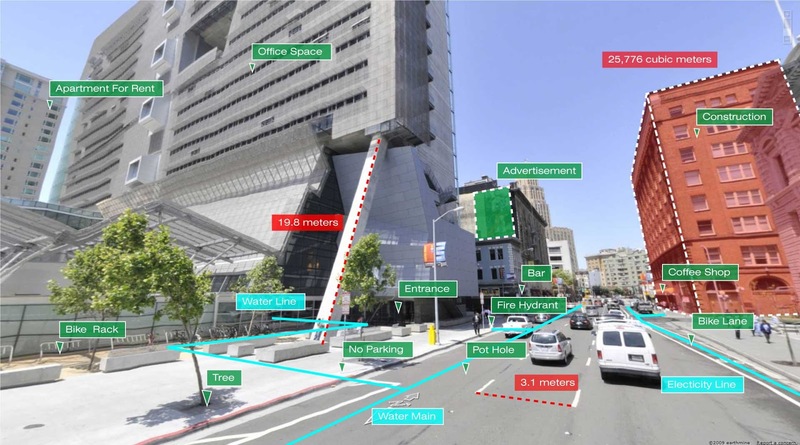 AR can aid in visualizing building and other structural projects. Computer-generated images of a structure can be superimposed into a real life local view of a property before the physical building is constructed there. 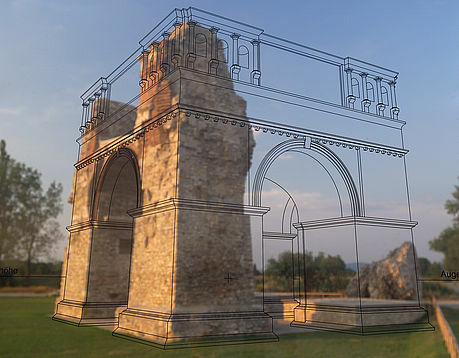 By augmenting archaeological features onto the modern landscape, AR allows archaeologists to formulate possible site configurations from extant structures.Computer generated models of buildings,structures and landscapes enables them to visualize the ancient time in a better way. 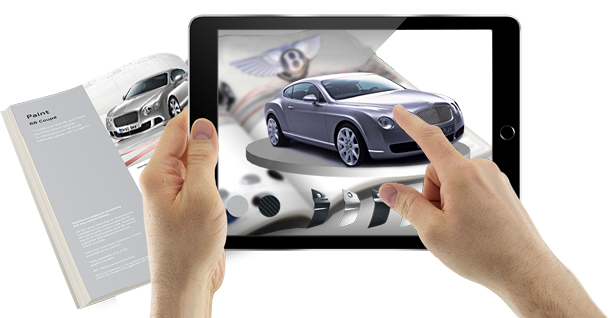 At present gaming industry is on of the main beneficiary of the AR technology. Not only the kids,but also the adults will also get addicted to AR games out there. Smartphone camera enables you to use real world as your game field. Racing games and shooting games are just awesome with AR. AR aided presentations are helpful to medical students to visualize human anatomy.AR technology also help them to practice surgery in a controlled environment.Augmented reality can reduce the risk of an operation by giving the surgeon improved sensory perception. This technology can be combined with MRI or X-ray systems and bring everything into a single view for the surgeon. The ability to image the organs in 3D on top of the patient's actual anatomy is powerful for the surgeon. Ad companies also have started exploiting AR technology for better user experience and increased attention from the audience. Marker Based Augmented Reality can be used to augment information on particular products. By scanning a pattern(QR,Bar codes or other patterns or picture) drawn on the surface of the the product or booklets can overlay required information and details about that product.